Since 1975 we’ve been building canoes and offer twenty different models with beautiful options for your paddling pleasure. We use the finest white cedar, spruce, white ash, mahogany and black cherry stock. We also offer full restoration and repair service, scale model canoes, limited edition and decorated canoes. 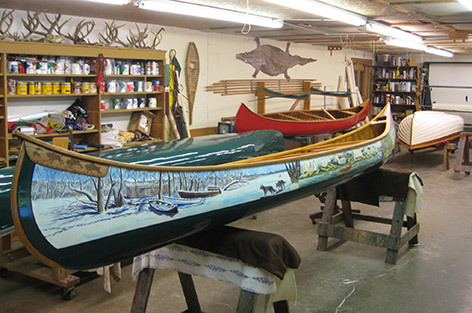 All our wood and canvas canoes are built one at a time to special order. 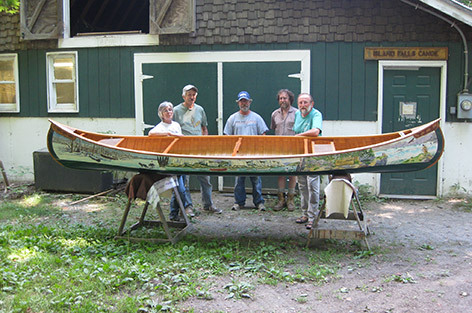 We are contracted by Old Town Canoe to build their iconic wooden canoes, and we supply genuine Old Town wooden canoe parts, hardware, and supplies.